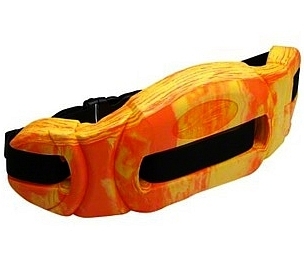 Provides vertical buoyancy stabilization for full body workouts. Soft, rounded edges wont chaff. Full lumbar support for lower back. Made of non-water logging, EVA foam. nice belt overall...I like that it drys quickly and without having to do to much with it. Very comfortable. I found that I did need to buy the extra pieces in order to have more vertical stability.